Bevel mirror swing door medicine cabinet with 2 adjustable shelves 16 inch W x 4.5 inch D x 26 inch h can be recess or surface mounted. View More In Medicine Cabinets. If you have any questions about this product by RSI Home Products, contact us by completing and submitting the form below. If you are looking for a specif part number, please include it with your message. 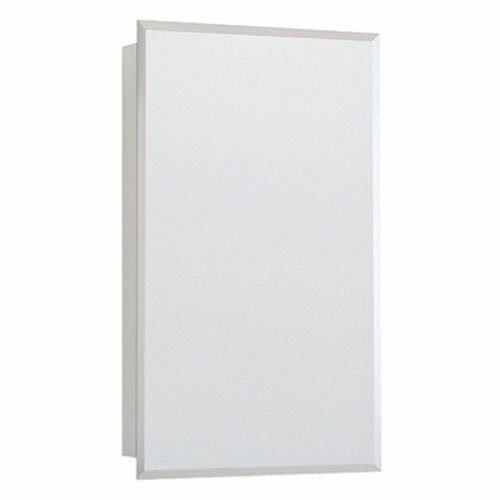 Medicine Cabinet, Surface Mount, 16x22 in. American Pride BATHROOM VANITIES & CABINETS 282319 Vista Series Recessed Swing Door Medicine Cabinet, 16" x 22"
Jensen B772193X B772193 Stainless Steel Frame Medicine Cabinet, 16" x 26"
Rsi Home Products Sales CBS1620-11-R-B Oak Finish Medicine Cabinet, 15-1/4" by 5" by 19-1/4"
© 2019 - baharta.com. All Rights Reserved.